As you will see below, we offer various pricing options, and will work within your budget. The prices and information below are just a guide, as all websites serve a different purpose and requires a variety of features and functions. Feel free to contact us, so we can discuss your requirements and give you our best price. We are affordable. Once you are happy, we can proceed with your project. Amay Web Design is for all clients. Whether you require a personal website or blog, are a hobbyist, small or large business, we can find a solution for you. We understand that it is in the best interests of your business, to have your website up in a timely manner. We will work within your timeframe, and unless there are unforeseen circumstances, we will have your project ready on time! Click on the MORE INFO buttons below, to see all that is included with the plans, or you can see more information on our services here. Use the below pricing as a guide for our services. These are not our only options. We will always find a solution, that works within your project budget. Contact us for me details or to receive a quote. No project is too small. Purchase below, or see more details by clicking ‘more’ above. Purchase options: Pay in full or pay $59 deposit now, then the balance on completion. Purchase options: Pay in full or pay $139 deposit now, then the balance on completion. Purchase options: Pay in full or pay $199 deposit now, then the balance on completion. Purchase options: Pay in full or pay $239 deposit now, then the balance on completion. Why can't Amay Web Design give me exact pricing on this page? Every website project is different. It depends on what you require for your project, as to what your final price will be. We have to take into account the type of site you need, how many pages, whether you already have a domain, hosting and much more. If you contact us, with a specific budget, we will work with you, to make your website become a reality. We suggest purchasing the package that most suits your project and then you can purchase add-ons or hourly blocks. In most cases purchasing a suitable Website Package will be all expense that is required. We offer additional/add-on services on all our packages. 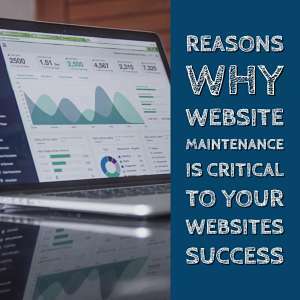 Some of these may include upgraded hosting for larger sites, multiple CMS’s, logo design, premium software, premium templates, ongoing website maintenance, and more. Amay Web Design currently charges a discounted rate of $35 per hour. We will notify our clients before increasing this amount. Amay Web Design requires a 20% deposit on projects under $500, and a $100 deposit on project $500 and above. There are a couple of reasons that we require a deposit. 1. We are busy so paying a deposit secures the time allotment for your project. 2. It helps to cover some of the initial costs of your project, like domain name registration, hosting, templates, paid plugins and any other items that require an upfront outlay.